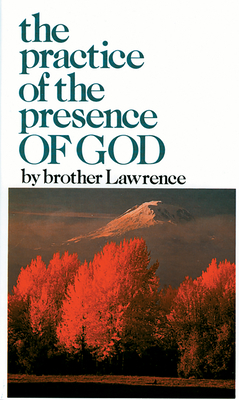 As a humble cook, Brother Lawrence learned an important lesson through each daily chore: The time he spent in communion with the Lord should be the same, whether he was bustling around in the kitchen--with several people asking questions at the same time--or on his knees in prayer. He learned to cultivate the deep presence of God so thoroughly in his own heart that he was able to joyfully exclaim, "I am doing now what I will do for all eternity. I am blessing God, praising Him, adoring Him, and loving Him with all my heart." Brother Lawrence of the Resurrection (1605-1691) was a lay brother in the Parisian Carmelite Order, which practiced extreme asceticism. He taught that one's "entire call and duty" was "to adore God and to love Him, without worrying about the rest." While looking at a barren tree one wintry day, the eighteen-year-old Lawrence realized that this tree would blossom once again. He was profoundly moved by God's providence and overcome with love for God. He was not only converted that day but also forever committed to serving God wholeheartedly. He believed that by accepting God's help and guarding our souls by keeping them in tune with God's will, we can have constant fellowship with the Lord. He died peacefully at the age of eighty, embraced in the arms of the Lord he had loved and served.